These programs are typically during the summer, but may have gap year or semester options. ​Find the one that best suits you by clicking on the links and exploring the possible options. With over 10 years of experience specializing in socially responsible volunteer travel programs, A Broader View is a family owned US Non-Profit Charity. Over 245 program options available in 25 countries focused on social welfare, healthcare, gender issues, and environmental programs. From Asia to Africa and throughout Latin America, ABV offers customizes placement lasting from one week to three months. Asia Internship Program connects organizations with aspiring young professionals and students. Internships are offered across all industries in Thailand, Singapore, Japan, South Korea, Hong Kong, Malaysia, Taiwan and Indonesia. With our network of over 450 partner companies which includes multinational corporations, emerging startups and NGOs, we can find the ideal company that suits all of your needs. We believe that international working experience is a major asset to have on your resumé. Our partner companies have the same belief and that is why 83% of interns through our program are offered full-time working opportunities upon completion of their internship. We value young students who are ambitious and open-minded, with an eagerness to explore new cultures. We offer exceptional, practical and academically-related internships so you can more easily land your dream job at home or abroad after successful completion of your internship. Intern abroad programs are very similar to study abroad programs in terms of what's included in every sense except that instead of going to class (which you may still do as part of an intern abroad program, typically language classes), you will go to work. We also offer programs to earn academic internship credit.Visit our website to view our locations and learn more! 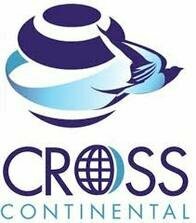 CISabroad offers you the chance to work overseas for a month to a year. We customize each internship to your personal and professional goals: you can work in tropical rainforests, market products in fashion design, or guide tourists through museums. Enhance your resume with us; the sky is the limit. Locations include Australia, China, Costa Rica, Ecuador, London, Ireland, Italy, New Zealand, Spain, South Africa, Scotland, and France. Connect-123 develops and administers internship programs in Barcelona, Buenos Aires, Cape Town, Dublin and Shanghai. Internship opportunities are hosted by local companies, nonprofit organizations, schools, research institutes, hospitals and health care clinics. You’ll find our network of contacts within the local companies, nonprofit organizations, schools, research institutes, foundations, hospitals and health care clinics in each of our destination cities is well established and extensive. Affordable yet flexible international learning programs, including volunteer/intern abroad, cultural immersion, language study, and gap year programs. Large variety of work placement options: Teaching, Healthcare, Community Development, Business Coaching, HIV work, Care-giving, Orphanage Work, Journalism, Photography, Wildlife, Agriculture, Environmental Protection, Microfinance, Marketing, + more. Programs available at many locations, including Africa, Asia, and Latin America. Live and work side by side with locals, to gain cross-cultural experience and truly make a difference. Ecuador has a unique combination of natural beauty, intriguing history and vibrant culture. EcuaExplora's mission is to enable meaningful experiences for students focused on the sustainable social, environmental and economic development of Ecuador. Share the local culture and explore the fascinating nature this country has to offer. Ecua Explora offers a diverse range of projects to meet your needs. Whether you are a student, a professional, or a retiree, there is a wide world to explore, with endless opportunities to learn and contribute. ELI Abroad is a non-profit organization that creates volunteer and internship opportunities for the globally-minded seeking a travel experience that goes beyond the ordinary. Since its founding in 2001, ELI has worked with thousands of participants from 41 countries, providing them an amazing array of programs. We offer internships in 24 countries, but our widest selection can be found in Ireland, China, South Africa, Brazil, and France. All internships are unpaid except in China, where interns often receive a modest stipend that covers their accommodations. Frontier is a registered non-profit organization. We are driven by a desire to change the world for the better and we're committed to helping the neediest peoples. As such, our projects are designed to transfer maximum benefit to our host communities in terms of economic and welfare gains, ecosystem regeneration, and skills transfer. Because of this we have well-established networks of trust and alliances between stakeholders at all levels, a crucial prerequisite to projects that are sustainable and relevant. Frontier offers media and journalism, teaching, and medical internships in many locations worldwide. GVI has programs in 13 countries around the world including South Africa, Fiji, Mexico, Costa Rica, Greece, Thailand, Nepal, Laos, Australia, India, etc. Projects involve wildlife/marine conservation, teaching, childcare, healthcare, construction, + more. 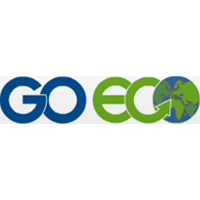 ​In addition to volunteering, GoEco offers excellent internship opportunities for those who want to gain international work experiences. Interns will receive personal attention, guidance and feedback from their mentors while participating in these specially designed programs. Upon completion, interns will have a professional reference and be able to set themselves apart from others when applying for jobs or promotions. Medical volunteering opportunities are also available for students in the process of becoming a medical professional, or those who are already trained.Activities may include HIV/AIDS awareness, hospital rounds, or rural clinic treatment centers. International Association for the Exchange of Students for Technical Experiences, is a global organization promoting intercultural exchange between students in STEM fields across the globe. IAESTE has more than eighty official member countries that collaborate to host and send students abroad for technical internships each year. IAESTE students travel to host countries within the IAESTE network where they complete paid internships at companies, universities, and research organizations. IES Internships offers an exhilarating challenge of real-world experience combined with professional skill building and cultural immersion. Whether you want to spend eight weeks over the summer interning full-time in the field of your choice, or partake in a part-time internship as part of our study abroad program to supplement semester or summer coursework abroad, we have a program that will suit your needs. 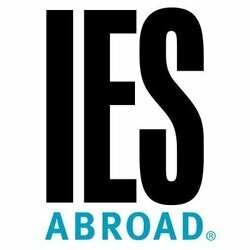 IES Abroad also offers study abroad programs with a part-time internship component in more than 25 cities worldwide. ISA Internships provides you with professional and personal development, focusing on high-quality, customized work experience designed to enhance your resume. With nearly 30 years of experience, the ISA Internship team is one of the best in the field and will provide: pre-departure resume and cover letter advising, as well as on-site goal-setting exercises; distinctive learning objectives to ensure your professional development needs are met during your internship, and career-building resources when you return home. All of our locations have the option to intern in English, allowing you to focus on developing your professional skill set. The Intern Group is an award-winning, social entrepreneurship that takes top applicants and significantly improves their skills and employability via our international internship programs. Our global team understands deeply how important international professional experience is in today´s job market. We are a global leader in the international internship area. The best way people can both develop professionally and learn about themselves is by getting out of their comfort zone and facing the challenge of living and working in a new city and culture. We value ambition, adventure and an international mindset. We also value academic excellence and thinking outside the box. We work with top companies/NGOs/gov't in: London, New York, Hong Kong, Madrid, Australia & Colombia. Karstaway provides you with the opportunity to use your unique skills and expertise to help some incredible organizations and individuals achieve their goals of greater sustainable development in China, whether you're a student hoping to build your CV or a professional looking to take a career break. Your adventure will begin in beautiful Yangshuo, where you will learn the Mandarin necesary to carry out your work placement, before you begin your internship with a reputable NGO in China. You will have the adventure of a lifetime, explore China's spectacular hidden gems, and be part of a project which is changing lives! 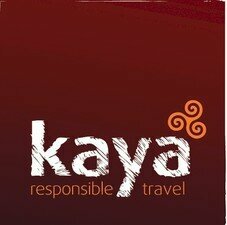 Kaya internships abroad enable students, graduates and career breakers to gain hands-on experience with organizations operating in a variety of fields that benefit communities and environments, in Latin America, Africa and Asia. Our internship placements provide in-depth opportunities for participants looking to work within specific fields.Internships are at least four weeks, are focused on a specific area of an organization, and ensure interns are placed to work under the guidance of a supervisor who can provide feedback and assessment of the work being carried out. All internship placements are with organizations that work to improve communities, environments and quality of life. Kaya interns know that while they are developing their own skills and experience, they also contribute to an organization that's making a real difference. The Light and Leadership Initiative's mission is to respond to the needs of the women in the Ate-Vitarte district of Lima, Peru in their struggle out of poverty by improving the availability and quality of education offered to women and children. Light and Leadership is always looking for qualified students, graduates and professionals to intern in Peru and positively impact our organization. Please visit our website to view internship opportunities. Note time commitments and language requirement (if needed) before applying. Full descriptions are available on Idealist.org. Gain practical experience, improve your Spanish language skills, and develop the cultural understanding and international skills you need as a work professional. Internship opportunities include: Education, Special Education, Micro Business, Hospitality & Tourism, and Medical. Your program is personalized from the start. Upon application we work with you to ensure that we match you with the best placement where you can gain the professional experience you need, and once in country you receive one-on-one guidance from your Maximo advisor. Programs are offered in 4-week and 8-week options or longer. Internships are a great way to gain valuable experience in your chosen area of work. Whether it be in the business world, medical field or research sphere, Oyster runs some great opportunities to help you build your employability and gain a great insight into the practices of organisations around the world. Locations include South Africa, Thailand, China, Sri Lanka, Romania, Tanzania, and Malaysia. The World Endeavors internship placement process is designed to ensure the best fit possible between the intern and their placement. Once you are accepted into the program, your program advisor will work with our onsite coordinator to find an internship placement that will be the best fit possible for your professional goals, language skills, and academic and work experience.